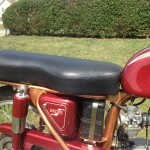 Restored 1958 Ducati 175 Motorcycle. This bike was stripped to the bare frame. 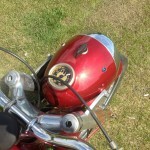 The frame and tinware were media blasted and then repaired where needed. 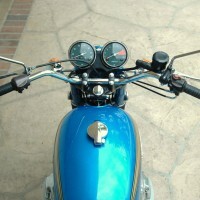 A full professional repaint in two pack paint and clear lacquer was completed. New transfers were applied prior to lacquering. 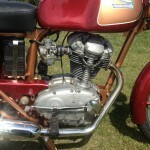 The engine castings were vapour blasted and the engine rebuilt with new bearings and piston rings. The crankshaft sludge trap was cleaned and all shafts were properly shimmed. 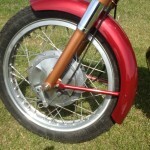 New clutch springs, friction and steel plates were installed. All of the gaskets and oil seals were replaced. 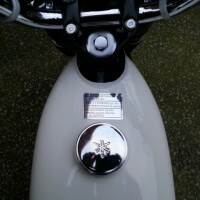 All fastenings were replaced with stainless where possible. 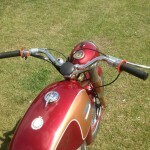 New bearings and fork seals were fitted. 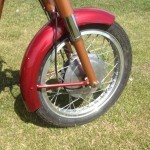 The wheels were rebuilt with new spokes and the original Akront rims were polished. 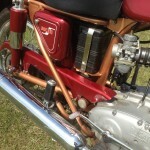 The bike was fully rewired using quality connectors and wire and converted to 12 volts using a modern rectifier/regulator and a sealed battery that sits inside the replica battery box. The original switch gear was refurbished. All the chrome work was re-plated. 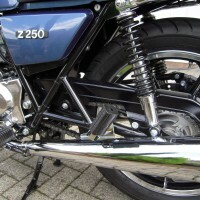 New stainless axle nuts were fitted. 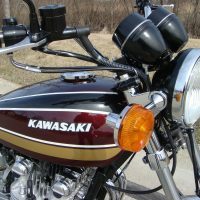 The exhaust, silencer, headlamp rim, tail light, footrest rubbers, pillion rests, handlebars, control levers, grips and numerous other parts were replaced. 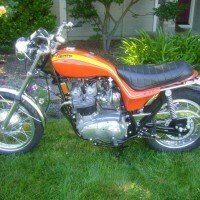 A great restored Ducati 175 Motorcycle. 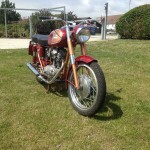 Ducati 175 – 1958 For Sale or Wanted? 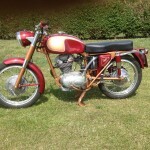 If you're looking for the perfect Ducati 175 – 1958 for sale then take a look at the hundreds of restored classic motorcycles listed on our extensive Motorcycles For Sale pages. 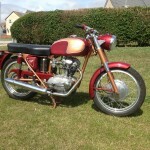 We regularly feature very nice restored Ducati 175 – 1958 bikes for sale. 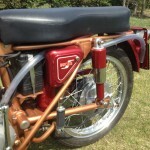 Spares and Parts for your Ducati 175 – 1958? 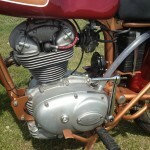 Workshop Manual for your Ducati 175 – 1958?